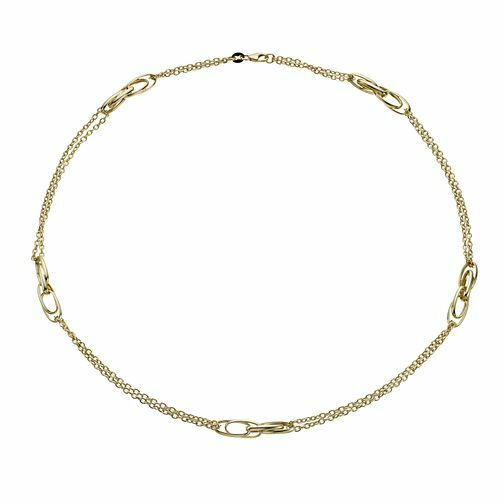 A simple double strand necklace made from a precious combination of silver and 9ct yellow gold. Featuring multi sized link detailing for an understated, individual twist, this is a versatile necklace perfect for everyday wear. Together Bonded Silver & 9ct Gold Double Strand Necklace is rated 4.0 out of 5 by 1. Rated 4 out of 5 by Anonymous from Simple and lovely It looks perfect for casual and everyday wear. My only disappointment is the gold will wear off eventually.